The Clinical Research Associate (CRA) monitors activities at clinical study sites to assure adherence to Good Clinical Practices (GCPs), Standard Operating Procedures (SOPs), and study protocols. Reviews regulatory documents as required and prepares site visit reports. May be responsible for multiple projects and must work both independently and in a team environment. Participate in the study development and start-up process including reviewing protocols, designing and/or reviewing Case Report Forms (CRF), preparing Informed Consent Forms (ICF’s), developing study documents, organizing and presenting at investigator meetings, working with management on a monitoring strategy, and/or developing project-specific CRA training. S/he may participate in clinical training programs and maintain awareness of developments in the field of clinical research as needed. S/he may provide a benchmark of monitoring competence to inexperienced/less experienced colleagues. Prepares clinical documents, business correspondence, and procedural manuals. Maintain systems and process necessary to report trial status and activities; and to help ensure that quality, regulatory- compliant clinical projects are conducted on time and within budget. Depending upon the level of experience, may become involved, when required, in other areas of study management and staff training and contributes to the review of sponsor/client’s and/or FHI360’s systems and procedures as appropriate. • Assists in the preparation of routine protocols, informed consents, SOPs, and other appropriate documentation. • Monitors clinical trials to ensure subject safety and compliance with the study protocol, FDA regulations and ICH/GCP Guidelines, may be done with supervisor. • Conduct site assessment, initiation, routine, and close-out monitoring visits, may require supervision. • Complete accurate monitoring visit reports. • Develops training materials and conducts training for study implementation based on company policies and SOPs. • Contributes to the development of and implements protocols and informed consents for research studies. • Provides guidance on any protocol related issues. • Manages and oversees budget for one or more research projects. • Develops, reviews, and maintains key study documents to ensure adequate resource and reference documentation. • May serve as a liaison with internal and external partners to ensure effective collaboration efforts. • Oversees planning of meetings, site visits, and drafting necessary documents. • Ensures compliance with government regulations when writing and reviewing protocols, analysis plans, reports, and manuscripts. • Provides input with questionnaire development, analysis, study design, and material management. • Effective clinical monitoring skills. • Demonstrated understanding of medical/therapeutic area knowledge and medical terminology. • Excellent understanding and demonstrated application of Good Clinical Practices and applicable Standard Operating Procedures. • Effective organizational and time management skills. • Ability to work in a team or independently as required. • Must have a working knowledge of concepts, practices and procedures for conducting clinical research studies. • Solid knowledge of software programs used to collect data and track risk based monitoring parameters. • Ability to analyze and interpret data, identify errors and prepare reports. * Exceptional attention to detail. • Works on moderate to complex problems of diverse scope that require analysis or interpretation of identifiable factors. • Demonstrates good judgment in selecting methods and techniques for obtaining solutions. • Decisions may affect a work unit or area within a department. • Provides suggestions on business and operational decisions that affect the department. • Typically reports to a Manager. • Education, Health, Behavioral, Life or Social Sciences, International Development, Human Development or Related Field. • 2 – 4 years of previous clinical research associate experience. • Proficiency in Microsoft Office, spreadsheet software and other technology required. • Articulate, professional and able to communicate in a clear, positive fashion with clients and staff. • Must be able to read, write and speak fluent English. • Master’s degree or its international equivalent preferred. • Typical office environment. Ability to sit and stand for extended periods of time; ability to lift 5-50 lbs. • Personal Computer, Microsoft Office (i.e. Word, Excel, PowerPoint, etc. ), e-mail, telephone, printer, calculator, copier, cell phones, PDAs and other hand-held devices. Disclaimer: Note the Compensation Band that appears on the job description is associated with those jobs assigned to the US Salary Structure and employees that are paid from US payroll. Assists in the preparation of routine protocols, informed consents, SOPs, and other appropriate documentation. Monitors clinical trials to ensure subject safety and compliance with the study protocol, FDA regulations and ICH/GCP Guidelines, may be done with supervisor. Coordinates necessary activities required to set-up, monitor, and close-out clinical trials sites. Conduct site assessment, initiation, routine, and close-out monitoring visits, may require supervision. Complete accurate monitoring visit reports. Develops training materials and conducts training for study implementation based on company policies and SOPs. Contributes to the development of and implements protocols and informed consents for research studies. Provides guidance on any protocol related issues. Manages and oversees budget for one or more research projects. Develops, reviews, and maintains key study documents to ensure adequate resource and reference documentation. May serve as a liaison with internal and external partners to ensure effective collaboration efforts. Oversees planning of meetings, site visits, and drafting necessary documents. Ensures compliance with government regulations when writing and reviewing protocols, analysis plans, reports, and manuscripts. Provides input with questionnaire development, analysis, study design, and material management. Performs and coordinates all aspects of the clinical monitoring and site management process in accordance with ICH Good Clinical Practices, FDA guidelines, local regulations and FHI 360 Standard Operating Procedures. Conducts site visits to assess protocol and regulatory compliance and manages required documentation. Updates and maintains project specific tracking tools. May function as project manager on assigned projects taking on a lead role of achieving specific milestone goals to completion. 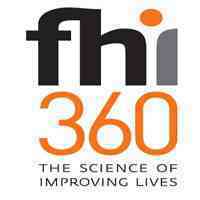 Represents FHI360 in the global clinical research community and develops and maintains collaborative relationships with investigational sites and clients. Reviews and approves the work and written reports of team members. Development and preparation of applicable study tools and job aids. Demonstrates effective management skills to at least one staff member. Demonstrates project management capabilities including: planning, tracking of milestones/deliverables, and monitoring of resources and budget requirements. Works on complex problems that require analysis or interpretation of various factors. Exercises independent judgment in determining methods and techniques to accomplish results. Determines and develops plans and procedures on new assignments and directs the work of others. May act as team lead and mentors staff on training, systems, policies, and regulations. Requires 4+ years of clinical research monitoring experience. CRP or SoCRA certification preferred. Advanced degree or its international equivalent preferred. Global clinical research work preferred.